﻿ The Madrid derby preview: Who's the alpha male in town? 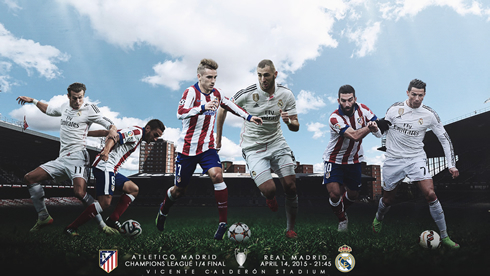 13.04.2015 » The Madrid derby preview: Who's the alpha male in town? 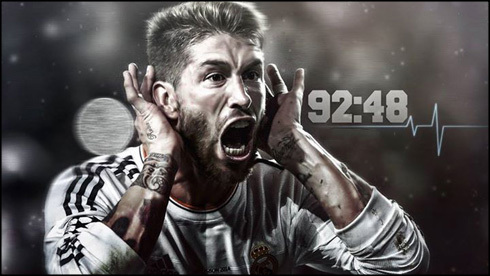 Over the next 8 days, Madrid will be hosting two thrilling ties between the two biggest clubs of the Spanish capital. 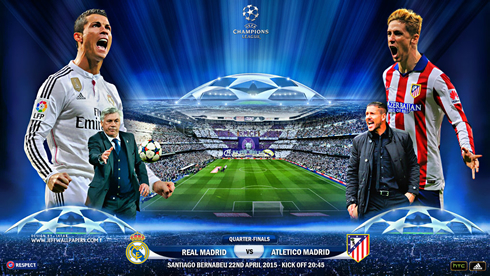 It's the UEFA Champions League quarter-finals and fate has ordained that Atletico and Real Madrid, last season's two finalists, would go head to head to settle scores in another chapter of their much-intense rivalry. Six games, zero wins, with the recent memories of a shocking 4-0 loss at a vibrant Vicente Calderón still echoing in the Merengues' thoughts. In fact and this season only, Atletico is holding a 7-0 aggregate lead over Real Madrid at the Calderón. 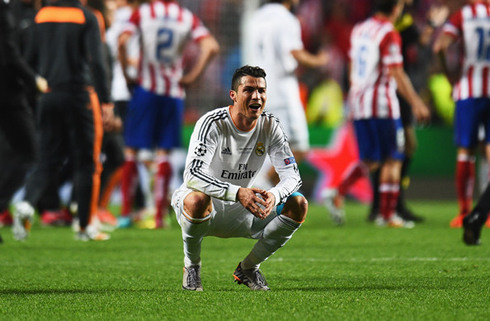 To call Real Madrid's current record against Atletico Madrid simply "poor" would be the understatement of the year. Since his appointment in 2012, Diego Simeone's record against the reigning European champions has been nothing less than phenomenal and this season in particular, he's outcoached Carlo Ancelotti’s men time and time again. Will history repeat itself? 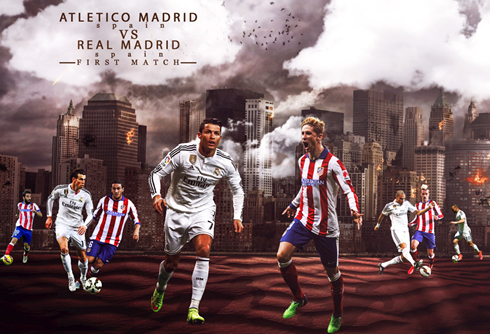 Or can Real Madrid finally beat their demons and get the better off Atletico? Now, to call a midfield that can include any of the Luka Modric, Toni Kroos, Isco and James Rodriguez a "shortcoming" may seem like blasphemy, but against Atletico's hard working and tactically astute midfield generals, Real Madrid often find themselves lost in sea of red and white, while the BBC awaits the supply that inevitably never comes. And therein lies the problem. As good as Real Madrid are, without proper planning and execution they will again fall to Atletico tomorrow. It's not hard to look back and observe that Madrid's most dangerous players never get the ball in places where they can succeed against Atletico. Simeone's men gleefully pack the midfield and stifle out any potential opportunities for Madrid's creative players to connect with the front three. And it's that simple! Tomorrow, it's still unclear what exactly Ancelotti will do. Gareth Bale's slight injury in training may have excited some fans to the prospect of the 4-4-2, but it's unlikely that Bale doesn't start now, seeing that he has allegedly recovered. Also, Madrid's problems with defending set pieces will be on full display as well. They cannot let Atletico score first, since that would only allow them to get more comfortable sitting back and defending. No one doubts that would make the whole tie a lot harder. But essentially, the biggest problem will be discipline and effort. Real Madrid will need everyone running against Atletico. Individual talent has been proven time and time again to be negated by Atletico's team defense. 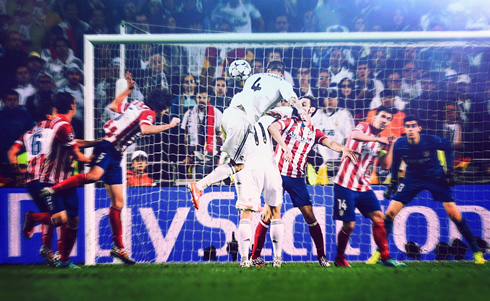 Cristiano Ronaldo next game will be for the UEFA Champions League against Atletico Madrid, on the 14th of April of 2015. You can watch Juventus live stream, Atletico Madrid vs Real Madrid, PSG vs Barcelona, Sevilla vs Zenit St. Petersburg, Juventus vs AS Monaco, and FC Porto vs Bayern Munich, all matches provided from our soccer live streaming game pages.